Our last Grand Final match for 2013 wrapped up just moments ago as we cap off another season of football - not counting the forthcoming Champion of Champions and the Knockout Cup, of course. It’s been great to watch the matches across the past two weekends and there were some nail biting fixtures. Congratulations to everyone who were crowned champions this year. Now, what everyone’s been waiting to see, the list of winners…. 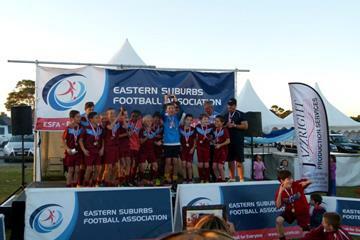 ESFA would like to congratulate all teams who were crowned League Champions and/or Grand Final Winners in 2013. We had some dramatic finishes across all divisions in a perfect way to end the season. We extend our thanks to everyone who participated in football this year. 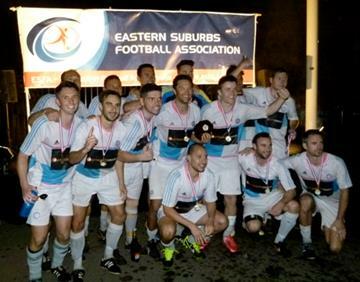 Dunbar Rovers won their fourth Premier League title, defeating Glebe Wanderers 2 – 0, on Saturday night. In a high tempo match from start to finish, Dunbar Rovers stood tall with a performance worthy of the ESFA Premier League crown. In the Reserve Grade Grand Final, Coogee United retained the Premier League crown after holding off Dunbar Rovers with a 1-0 victory. Every week we see people giving up their time to support football on the park; from Club administrators to managers, parents, spectators and our Match Officials. We would like to say thank you to all the volunteers who we’ve worked with throughout the season. Your hard work allows grassroots football to flourish in the Eastern Suburbs. We hope you enjoy the off-season! The ESFA Knockout Cup will be wrapping up this month with the Semi Finals and Final still to be played. The draw leaves the possibility for a repeat of last year's Final, which saw Phoenix defeat Coogee United PL 5 - 2. All of us at ESFA thank our sponsors for their continued support of football in the Eastern Suburbs. 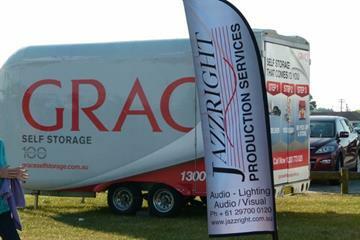 We particularly would like to thank Jazzright Production Services and Grace Self Storage for contributing to the event that was our Grand Finals. Jazzright Product Services once again made the Grand Finals a spectacle, providing the staging, food vendors, PA system, fog effects and more. They continue to show their event production expertise and have been a proud sponsor of our Skills Acquisition Program. The unique storage shells provided by Grace Self Storage allowed us to access all of our football gear when we needed it at Heffron Park. Their self storage solution is accessible, convenient and cost effective. Sixteen ESFA sides will be competing in the 2013 Football NSW Champion of Champions, which begins on 16 September. The League Champions in division one of each age group will be travelling across the state to face off against other champion Association sides. The ESFA teams will join 320 teams and over 6500 players who will be participating in the 2013 EA SPORTS Champion of Champions. 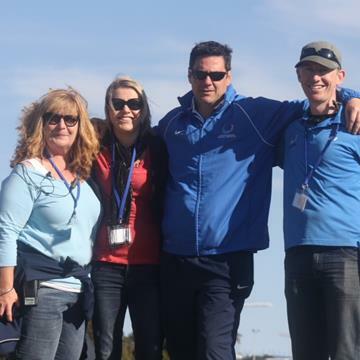 We wish all of our teams the very best as they represent the Eastern Suburbs of Sydney! We'd like to wish all of our dad's a Happy Father's Day! We found a red key on a Titan Fitness keychain near Heffron 4/5 on Sunday, 1 September. If this is yours get in touch with us so we can return it to you. We'll be uploading photos from our Grand Finals throughout the week on our Facebook page. Be sure to check them out here! Players aged between 5 and 12 can now register for a FREE Sydney FC Junior Blues Membership for the 2013/14 season. Sydney FC Memberships are on sale now! To have the best chance of securing access to Sydney Derby and Sydney FC finals games, become a Sydney FC Member for 2013/14.